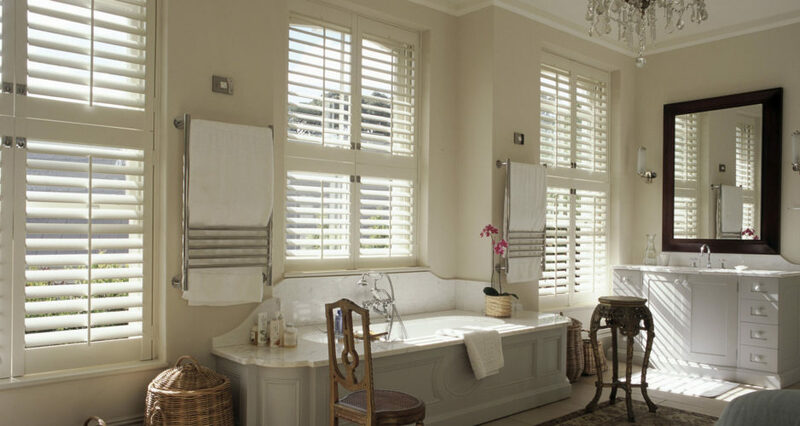 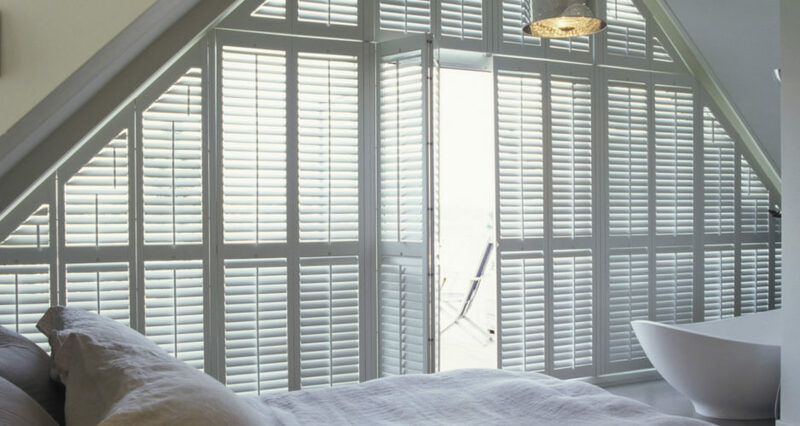 Popular due to this versatility, our design team will help you choose from the customisation options available for an end result of beautiful shutters, with their own unique style. 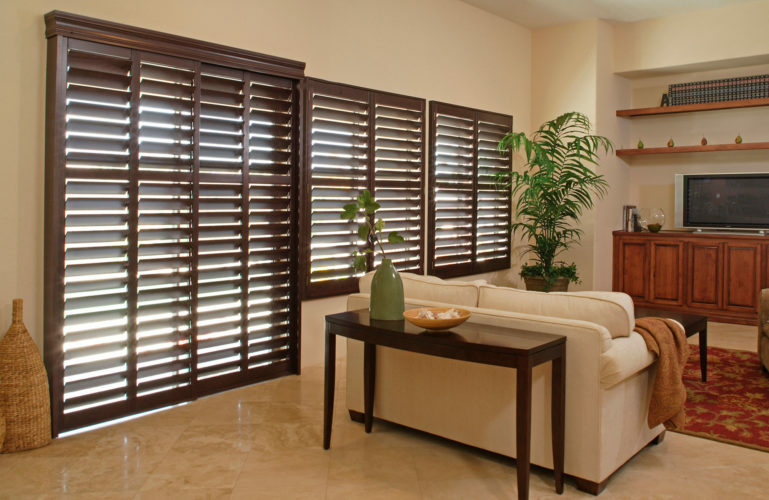 Running along a sliding rail system, tracked shutters are perfect for spaces where traditional shutters would be either unwieldy or inconvenient. 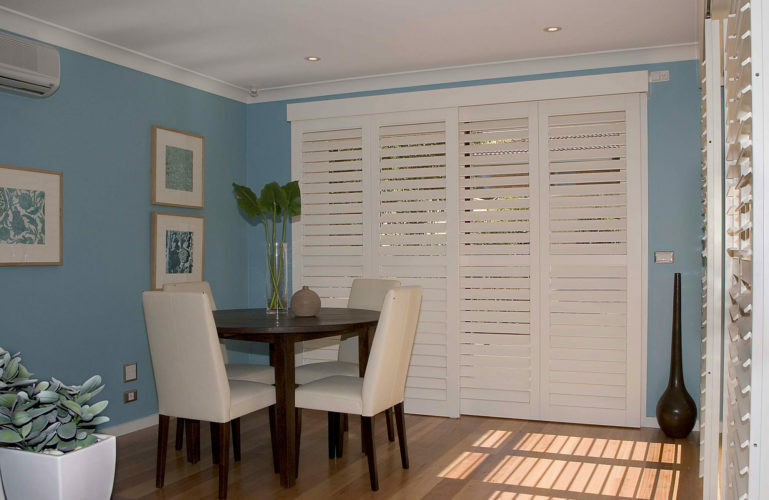 Covering the entire frame, allowing for complete darkness and privacy. 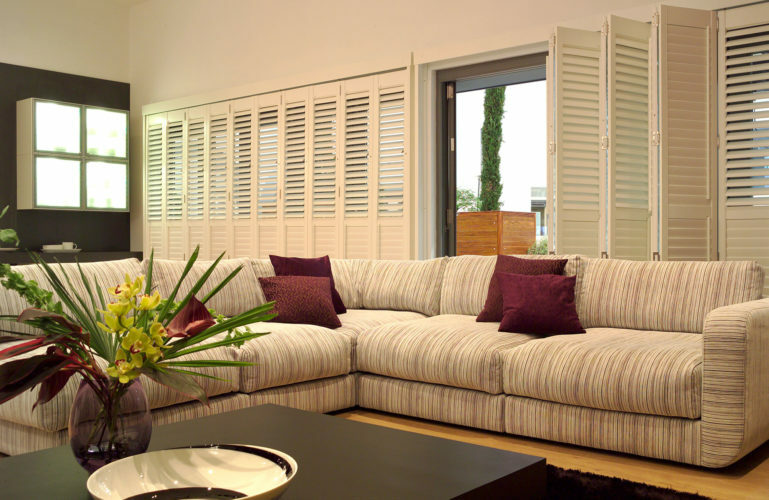 Whilst they’re a great solution for patio doors or floor to ceiling windows, they’re not limited to use in traditional ways; we’ve successfully installed them as room dividers, wardrobe doors and even for separating en-suite bathrooms. 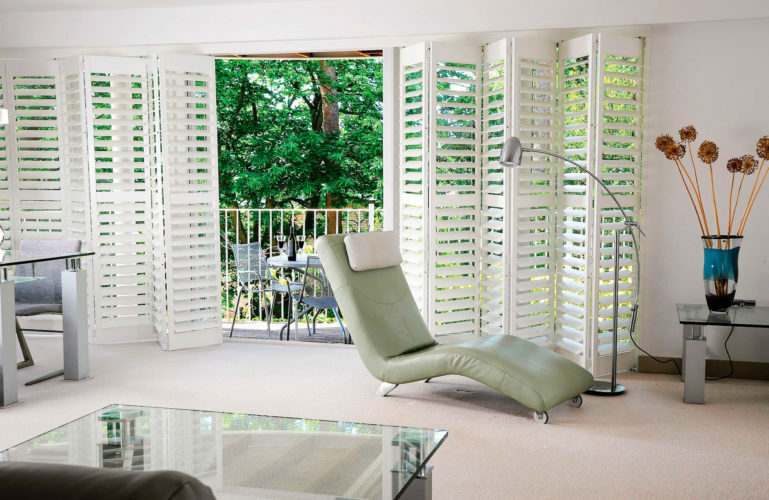 The by-pass system allows each panel to slide past the other effortlessly for a hassle-free experience when opening and closing your shutters, whilst the by-fold system can be completely folded out of the way, great for allowing in the maximum amount of natural light or completely opening up a room. 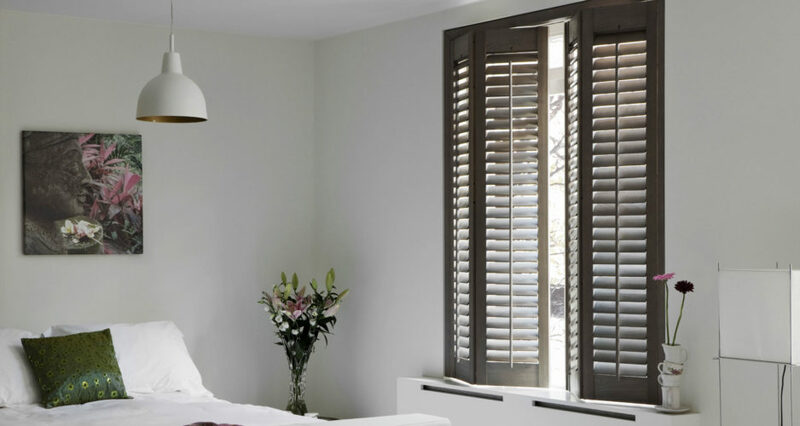 After being expertly measured and made, our tracked plantation shutters are hinged to a fixed frame during installation for sturdiness. 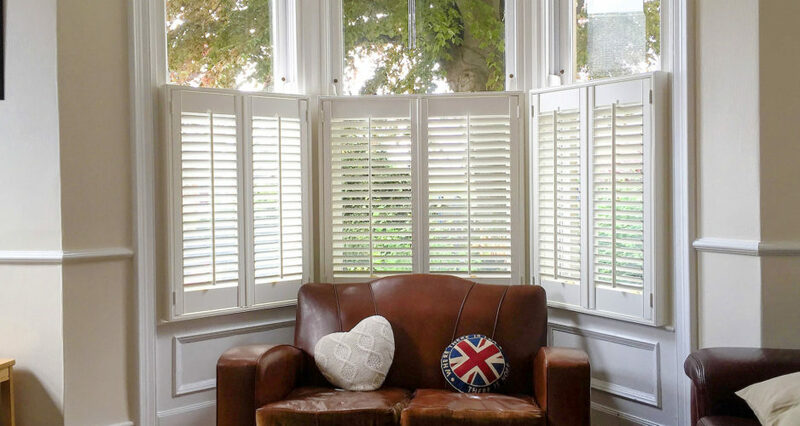 Tracked shutters not for you?